FLOAT FOR MIST MAKER 3 .. 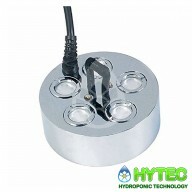 FLOAT FOR MIST MAKER 5 Mist Makers maintain the optimum growing environment required for cuttings and seedlings as well as growth through the vegetative stage of your plant cycle. 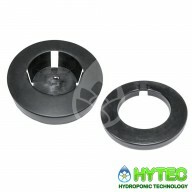 Place in a large propagator or centre of the grow room and watch the vapour float around your cuttings producing rapi.. 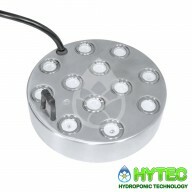 FLOAT FOR MIST MAKER 12 DISC The Float for Mist Maker 12 is specifically designed to be used in conjunction with the Mist Maker 12 5300ml/hr.​ Mist Makers maintain the optimum growing environment required for cuttings and seedlings as well as growth through the vegetative stage of your plant c..
SMARTGRO 9.5LTR ULTRASONIC HUMIDIFIER The Smartgro Ultrasonic Humidifier is an easy and energy efficient way of creating the perfect environment for indoor growing. By harmonizing the temperature with humidity, growers can help stimulate strong healthy leafy plants with vigorous growth. 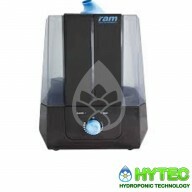 The Sm..
PREM-I-AIR 0.35L DEHUMIDIFIER 2LTR TANK The Mini Moisture Absorbing Dehumidifier is light and portable and comes with a large 2L water tank and an extraction rate of 350 ml at 30 deg. and 80%RH. 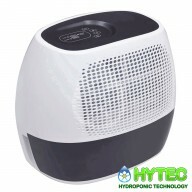 With a compact design, this Dehumidifier features a thermo-electric Peltier module (no compressor), ne.. 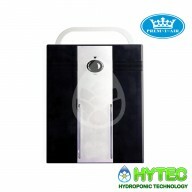 Ideal for smaller grow tents or large propagator to maintain high levels of humidity. This powerful and compact humdifier produces water vapour via ultrasonic vibration for a very fine micron size droplet correcting the humidity of the air dried out by central heating or environmental condit..
MIST MAKER 5 400ML/HR. 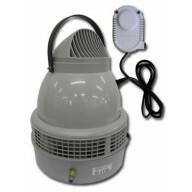 Mist makers are great for making micron sized droplets of mist, ideal for young plants or for replacing moisture lost by heating a room. These kits automatically top them selves up so you don’t have to refill it like a traditional humidifier. 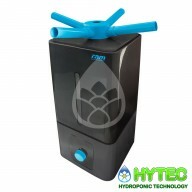 ..
SONIC AIR HUMIDIFIER Having the correct humidity levels in your grow room is very important and often overlooked, With the airsonic humidifier achieving this is very easy .Using a disc fogger it converts water vapour into your grow room per hour. 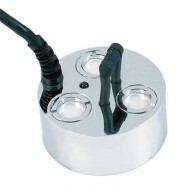 Cre..
5 DISC MIST MAKER TANK KIT Mist makers are great for making micron sized droplets of mist, ideal for young plants or for replacing moisture lost by heating a room. 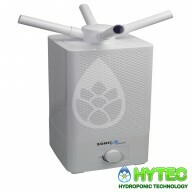 These kits automatically top them selves up so you don’t have to refill it like a traditional humidifier. 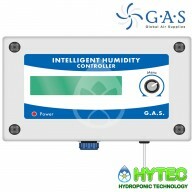 The 5 Disc Mist Maker Ta..
G.A.S INTELLIGENT HUMIDITY CONTROLLER The Intelligent Humidity Controller monitors your grow room environment and controls the humidity levels to VPD, vapour pressure deficit or relative humidity. Months of research have gone into the Intelligent Humidity Controller – it calculates the vapou..
SONIC AIR PRO INTELLIGENT HUMIDITY CONTROLLER The SonicAir Pro Intelligent Humidity Controller is powered from the humidifier. 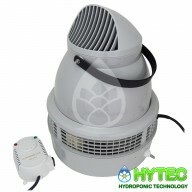 The unit switches the humidifier on and off but leaves the humidifier fan to overrun. 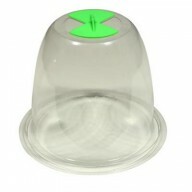 This protects your humidifier. 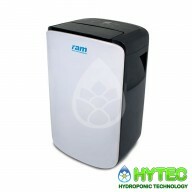 • Humidifier controller • Intelligently l..
RAM 10LTR DEHUMIDIFIER The RAM 10L Dehumidifier is the perfect tool for reducing humidity in damp conditions. This product will make it easy for growers to control the humidity of their growing environment and prevent damp and mildew. Adjustable dehumidifying levels Removes up to 10 L per..
10 L 'Xtreem 10' Dehumidifier with 3 L Tank Capacity The Xtreem 16 Moisture Absorbing Dehumidifier is a compact unit that can remove up to 16 L of moisture per day and is perfect for either home or office use. This attractive unit features an easy to read display and control panel for simple oper..
MIST MAKER 12 DISC 5300ML/HR The Mist Maker 12 offers more mist for larger grow rooms or isolated veg rooms. This powerful and compact humdifier produces water vapour via ultrasonic vibration for a very fine micron size droplet correcting the humidity of the air dried out by central heat..
20 L Compressor Dehumidifier with 3 L Tank Capacity and Timer The Prem-I-Air Xtreem Moisture Absorbing Dehumidifier is a compact dehumidifier that removes up to 20 L of moisture per day. 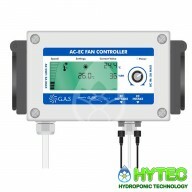 Featuring an electronic control panel with digital display, variable humidity control, auto shut off when the ..
G.A.S AC-EC CONTROLLER Take total control over your ventilation system. 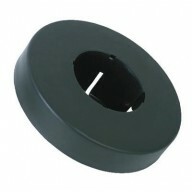 Thermostatically control your intake and outtake fans. 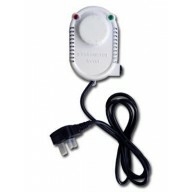 Control AC and EC fans up to a total load of 10 amps. 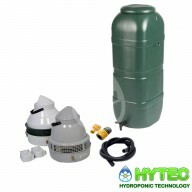 •Temperature and humidity control •Set maximum and minimum fan speeds •Set day and night temperatur..
centrifugal Humidification HR-15 Unit and Humidistat If you want strong and healthy plants, you need to consider the relative humidity in your grow room. 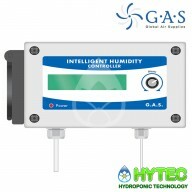 Our Humidification Unit HR 15, with Humidistat will enable you to set and achieve your desired relative humidity. Excellent value for money. 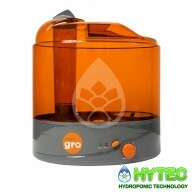 A goo..
CENTRIFUGAL HUMIDIFICATION KIT HR-15 If you want strong and healthy plants, you need to consider the relative humidity in your grow room. 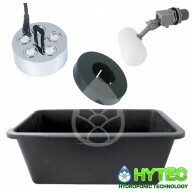 Our Humidification Kit-HR 15, offers you all of your humidification needs in a simple to use kit. Excellent value for money. 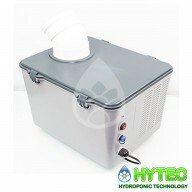 A good seller and defi..
SONIC AIR PRO HUMIDIFIER Having the correct humidity levels in your grow room is very important and often overlooked, With the airsonic pro humidifier achieving this is very easy .Using a 10 disc fogger it converts up to 6.5 litres of water vapour into you..
HR50 - HUMIDIFIER - UPTO 150M2 No plant can live without water, indeed most plants are composed mostly out of water and the health of a plant will depend directly on the relative Humidity of its surroundings. Leaves lose water through evaporation through their stomata – small openings in sp..